Algae Bloom On A River: Water pollution is costing Florida a lot of money every year. Local officials around the coast in Florida have already started to deal with the price of sea level rise. Now, another report has put a price tag on the cost of water pollution throughout the state-- the verdict: it's about $10.5 billion a year. According to the Stockholm Environment Institute, which conducted the study, a lot of the pollution we are dealing with in our water comes from human activities. Water pollution from phosphorus and nitrogen is rapidly accelerated by human activity population growth, together with agricultural and urban development, have led to large-scale wastewater discharges into aquatic environments. Nutrient pollution causes the gradual degradation, or eutrophication, of waterbodies. Ecological changes which otherwise might have occurred naturally over millennia instead have taken place in decades. phosphorus in the water can make algae grow so quickly that ecosystems are overwhelmed by it. These high concentrations of algae have the potential to harm water quality, food resources and habitats, and reduce oxygen levels, making it more difficult for fish and other aquatic life to survive. Large growths of algae, called algae blooms, can result in illness or death of large numbers of fish by severely reducing or eliminating oxygen in the water. 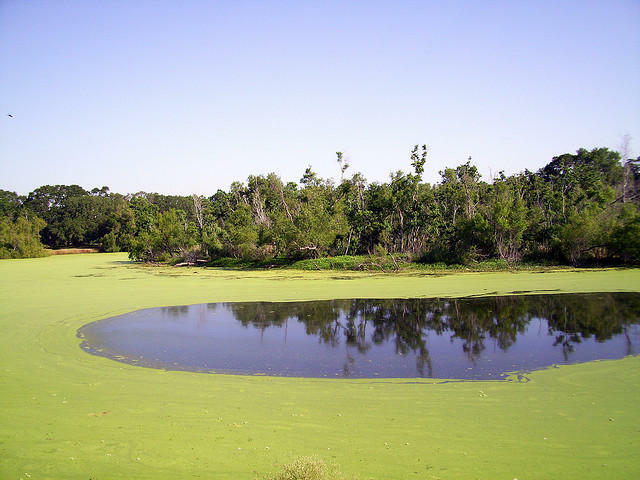 Some algae outbreaks produce toxins and bacterial growth that can make people ill from contact with polluted water, consumption of contaminated water, or tainted fish or shellfish. Dealing with this toxicity spurred by these algae and red tide outbreaks is what is really driving up the cost. Cleaning up after this pollution costs the state a lot of money. Then, there is the loss of ecotourism business, which many of parts of the state thrive on. Properties that are surrounded by polluted water also see significant declines in their property values, which affect the economies of both local governments, as well as the residents who own the properties. According to Public News Service- FL, this week's report comes as Florida policymakers wait to see if the federal Environmental Protection Agency will accept their new state-written water-pollution plan or enact stronger federal rules and enforcement. Businesses have long been the most opposed to stricter water standards. They argue that the cost to prevent pollution is too high.